Through the Marble Arch Community Programme, property managers from Broadgate Estates revitalised relics. They donned hard hats, hi-vis and steel toe capped boots on Monday 17 September for their volunteer day at St Mary Magdalene Church. 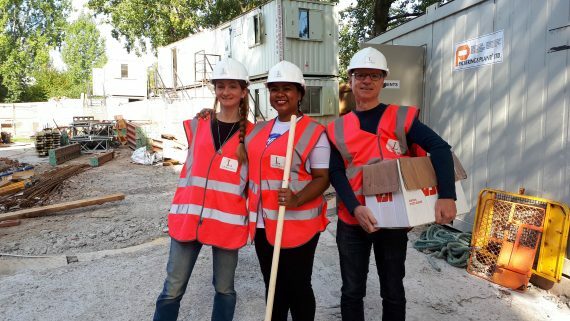 Broadgate Estates were the first corporate volunteer team to support Paddington Development Trust, who in collaboration with St Mary Magdalene Church have overseen the work on the church. The team of three volunteers worked under the direction of Fr Henry to sort, move and clean a whole array of artefacts, which have spent the past 12 months under dust sheets. During the afternoon the team were rewarded with a tour of the building, including the undercroft and chapel which are intricately decorated. “We were so impressed by how the Broadgate Estate volunteers rolled up their sleeves and got stuck in. It was a dusty job, sorting and cleaning the church furniture to help get us ready to re-open as an Arts and Heritage centre for our local community. They didn’t let that put them off though and they whizzed through the enormous pile that we left them with. We are a small staff team and having the volunteers helping with this job has made a huge difference to preparations for opening.” Lucy Foster, Paddington Development Trust. 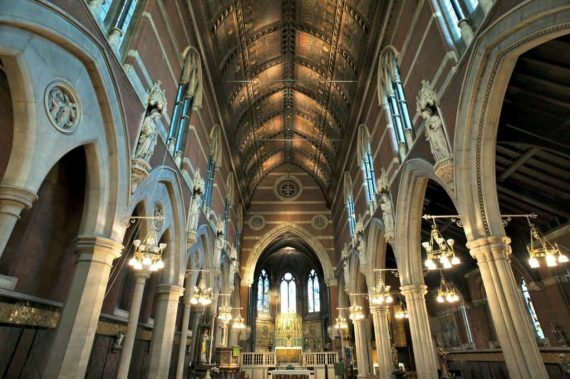 Located on the banks of the Grand Union Canal in Paddington, the church is coming to the end of an extensive conservation project using funds awarded by the Heritage Lottery. 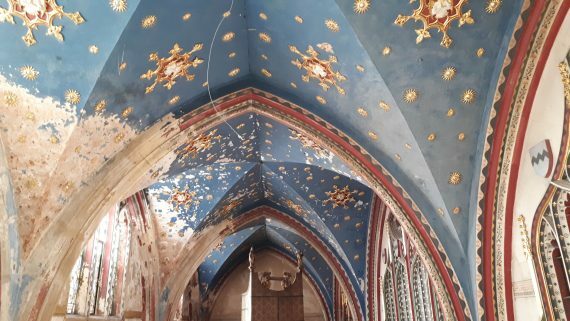 This money has been used to restore the painted ceiling in George Edmund Street’s masterpiece, as well as improve the accessibility of the building by installing a lift, toilets and water; for the first time in the building’s history. A community café and learning space are currently under construction. The church will continue to run weekly services, in addition to a rich programme of cultural events, trips, classes and courses; open to the whole community. The church is due to re-open for services within just a few weeks and the community spaces will open in Spring 2019. If you would like more information about hiring space in this unique cultural venue, the events programme or how you could support its development as a community asset, please get in touch with our Community Programme Manager, Emily.